So you've discovered parkrun, have run at your home event a few times and maybe even volunteered too. But now you want to branch out a little. I've visited a few venues now so here are a few hints and tips to help with planning your parkrun tourism. Start Time: While venues in England have a 9am start time, this isn't the same in other places. For example, Northern Ireland and Scotland parkruns start at 9.30am and Australian parkruns seem to start at 7am or 8am. I understand that venues in the USA can start at varying times too. So always check (and don't rely 100% on what I have written here - cross-check that too!) Oh, and be in place around the start area before this time so you can listen to the 'first-timers' briefing and then the main briefing. Other parkruns nearby: Also, every parkrun venue's homepage (uk) has a list of (up to) its 10 closest venues (as the crow flies) so this is another handy place to get a quick heads-up on an alternative venue. Watch out for venues that have rivers in between them as the actual difference can vary greatly from the straight line distance. Always cross-check the journey distance and predicted travel time with a route planner. Christmas Compendium: If touring on non-standard parkrun days over the festive season (Christmas Day / New Years Day) then you may find the Christmas Compendium [Link: UK Christmas Compendium] quite a useful resource. It shows which venues are planning to put on extra events on these days and also the time that they will take place (start times can vary from the norm on these days). Christmas Day is fairly straight forward as only one run may be recorded per runner, but on New Years Day runners can record a maximum of two. The Christmas Day UK parkruns map and the New Year's Day UK parkrun map are unofficial resources which helps with the planning of visiting venues of this period. It is particularly useful for working out which venues could be doubled up on New Years Day. There is also the unofficial 'parkrun New Years Day Double Finder' - The link changes slightly each year, so it's probably best to search online for the latest version [2017 is here]. To give you an idea of what it looks like, here the links to some previous versions [2014 / 2015 / 2016]. There is a map of the 2018 New Years Day confirmed events, here - NYD 2018. Deciding where to go next: Once you have visited your nearest venues it can become tricky deciding where to go. Many tourists try to complete certain sets of runs in order to become a 'regionnaire'. These regions are already defined on the parkrun events page. Some people like to try to complete all the runs in certain counties or collect certain sets. Some tour alone while others have formed touristing groups who will purposefully head to a certain venue on a pre-arranged date or event number. 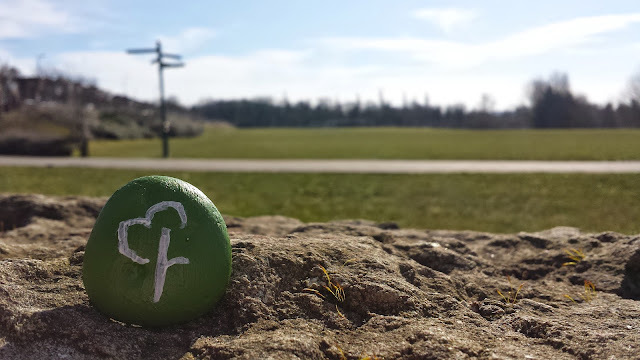 Other: Other ways to help with venue selection are to use the first letter of the venue and run the full alphabet (or as close as the available letters allow) to become an alphabeteer or some will spell out a word or phrase like I did for my #7weeksofparkrun challenge. Inaugural events: In the past, attending an inaugural event was actively encouraged by many within the parkrun community and by parkrun themselves. In fact, attending 5 inaugurals used to be a quick route for participants to earn a place on the official 'UK most events' table, plus it was the best way to meet other tourists. However due to the growing popularity of parkrun and parkrun tourism, leading to very large turnouts, attendance at inaugurals is now gently discouraged. Local event teams, other park users and local residents can all be quite overwhelmed by a sudden influx of hundreds of runners on the first Saturday morning of a brand new event. The total number of attendees at an inaugural event can be double (or even more) than that of subsequent events. I know parkrun are actively taking steps to make information on forthcoming events harder to find in advance, but even if we do come across this information, we all need to do our bit and resist the temptation to attend a new event on day 1. It is now good practise to give new events a few weeks/months to bed in before visiting as a tourist. Checking that the event you plan to visit is actually going ahead is vital to make sure you don't waste your time and money travelling to some far flung location. So how are you going to be sure? From my experience I have found that during the summer months most cancellations will be known in advance and are mostly for other big events such as summer fairs etc. Watch out around bonfire night as quite a lot of parks host fireworks displays and the setup for these will usually mean the parkrun cannot go ahead. In the winter you are more likely to encounter last-minute cancellations due to bad conditions. Check the weather in advance to see if there is a risk heavy rain, snow or ice. Tarmac courses are more likely to be affected by these conditions than 100% off-road courses, which do not usually have the same issues with slippery surfaces. However, Run Director's have to consider more than just the course (car parks / general road conditions around the venue etc) so always check! The venue's homepage - The front page will show the date of the next known cancellation in red (if there is one) providing the event team have notified parkrun HQ via the official channel. The venue's social media pages - Most venues have a Facebook page and a Twitter feed so 'like' or 'follow' these in advance. Before relying on these sources it's best to have a look through some older posts to make sure the team actively use these channels. If a cancellation happens at the last minute, the majority of venues will communicate this via social media as this is the best way to reach the majority of their runners at short notice (and can be easily posted from the run director's phone if they are cancelling whilst standing in the middle of their venue). The venue's volunteer roster - Open up the future volunteer page and have a look to make sure there are volunteers assigned to the date that you are planning to visit the venue. It's not a complete guarantee, but it is quite reassuring. The venue's news page - Have a scroll through the last few news reports to see if there has been any mention of future cancellations in a previous report. It is possible that a cancellation could be mentioned here, but not appear on the venue's homepage. The venue's course page: Each venue has a course page which outlines useful bits of information regarding the course, travelling to the venue, car parking information and toilet information. The amount of detail given seems to vary between venues. Some venues have different courses which they switch to for various reasons and some even move to a different venue altogether during the winter - make sure you read carefully before leaving home. Photo Albums: Have a look through the venue's photo albums to get a better idea of what the course is like. Mostly you'll find that the photographers have used different positions around the course on different weeks, so have a good look through. This should also help to give you an idea of what shoes might be required for the course. Originally, most venues would upload photos to Flickr, however I am finding that Facebook has become more popular platform over the last couple of years - the point is, check both. Also search for youtube videos to see if anyone has filmed the course. GPS Data: Look for other runners' GPS data on websites like Garmin Connect, Strava and Map My Run (etc). A quick search online should give some results. If not go onto the respective website and use their search feature to find the course. Another option is to go into the latest results page of the event in question and find someone who has linked their Strava account to parkrun, click on their Strava icon to take you to their profile where you should hopefully find the course data. Take a close look at the date of the run and cross-check it with the official course map to ensure that you haven't accidentally clicked on an old course or alternative course. This is also good for checking the hill profile of the course. more blogs to follow: I know I must have missed some blogs, so please feel free to remind me of the ones I have forgotten to add - remember this list is for blogs that truly give good information about the venues, not simply good blogs, of which there are many. Toilets / showers: Check the arrangements for toilets in advance as this can vary considerably between venues. If no toilets are available at the venue, do some research as to where the closest ones are. Use the local council's website to find out about any public toilets in the area and also find out where the local fast food chains, pubs and supermarkets are as you can usually nip in discreetly beforehand. It's also worth bearing in mind that it is quite common for toilets to run out of toilet paper when a large number of runners are around, so consider taking you own supply with you. When it comes to showers, as you'll be away from home you might wish to locate some before continuing with your day. It's not the kind of information that is always listed on an event's homepage, so you may need to contact the event team to ask for local advice. If you decide to source your own, look for council run leisure centres that may allow access to showers without requiring you to pay a full entry fee for the facilities. Some parkruns may be located near running tracks who may be willing to accommodate the needs of fellow runners - if there is a track you could just pay the entry fee, use the track and then the shower facilities. Some large train stations have showers that can be used for a fee (These seem to be more widespread on mainland Europe than in the UK, but worth checking anyway). Google Maps: Whichever method of travel you use, Google Maps is a great tool to help get a feel for what the local area looks like. Put it into street view and use it to have a look around the train station, car parking areas or entrance to the venue. For some venues you can also see parts of the course in this view. An excellent tool! Also I always leave home with enough time to reach my chosen venue 1 hour before the start time (I plan to arrive at 8am in for venues in England) - it might seem a little early, but I have needed this extra buffer time on more than one occasion. Road: Check for roadworks in advance especially if using areas known for disruption and/or motorways. For me that mostly means checking the M25 and the Dartford crossing, which I quite often have to use and are known for disruption. Don't forget to pay any tolls (eg: Dartford crossing) within the required time period - I always pay mine the night before via the online payment page. On the morning check for any incidents on motorways which could cause delays. If using a Sat Nav make sure it is guiding you to the exact destination you need to go - there are some venues where Sat Navs frequently take the runners to the wrong part of the venue or somewhere else entirely. Always check the car parking arrangements and make sure you have plenty of change on you in case the information you have read is out-of-date or if the parking situation changes at late notice. Some venues give free or reduced-fee parking to runners providing they leave a barcode in their window, so always have at least one extra copy with you to cover for this. Also make sure you have enough petrol in your vehicle for your journey before the morning of the event. Train (underground / metro): Repair works etc almost exclusively take place at the weekend on the underground sometimes resulting in long sections of lines completely closed for a whole day or longer. If it's a London venue then you'll find the latest information on forthcoming planned engineering works on the Transport for London website. As I understand it, there are four cities with underground networks in the UK. Cycling: I have cycled to a few venues and have always found it useful to know that if I have a malfunction (most likely a puncture) I can still reach the (or a) parkrun in time. So make notes on any potential train stations that you'll pass on the way to the venue. If you have a serious malfunction you may find that you can switch to the train instead. Other: I have on occasion been known to save the numbers of local cab firms into my phone just incase I have issues with other forms of transport. I imagine this type of information can be looked up if required on-the-day or you could probably use an app like Uber to summon a taxi if in need. What would parkrun be without its social side? While not compulsory, many tourists will want to engage in at least part of the social side of an event. Spotting fellow tourists: During the event you may want to keep an eye out for fellow tourists. Sometimes they are impossible to distinguish from other runners, however things to look out for are the official apricot parkrun tees - these can be customised at the point of purchase to include the name of the runner's home venue. Also the Cow-Cowl is something to look out for, while completely 100% unofficial this simple item really does help fellow tourists pick each other out of the crowd. Post-run chatting and the cafe: It's always great to spend some time chatting to fellow runners and the event team. While chatting to other runners is easy to do at the finish line, the event team will be better to chat to once all the participants have finished running and they can relax a little. The perfect place is the post-run social venue. Check out the details of where they go beforehand and take note of any important points. The other thing you can do, of course, is to talk to other people and ask questions. Whether it be the event team through email or their social media pages or to other parkrunners through twitter or one of the many groups you'll find dotted over the internet. Also, always make some kind of backup plan just incase things don't work out on the day. Make a note of other reachable venues and check all their details in advance too. Also, independently verify every piece of information possible (including everything you've read on this page or in any of my venue blogs). When you have run at twenty different UK venues you will appear on the UK most events table. At this point you would have become an uber-tourist and also earned entry into the UK parkrun tourists closed group on Facebook. So that's about it for now. I hope this comes in handy and please let me know if there's anything you think I've forgotten to mention. ... don't forget your (printed) barcode!